Our Task – Deliver an easy to use Content Management System that would support a Responsive Design focused on User Experience. 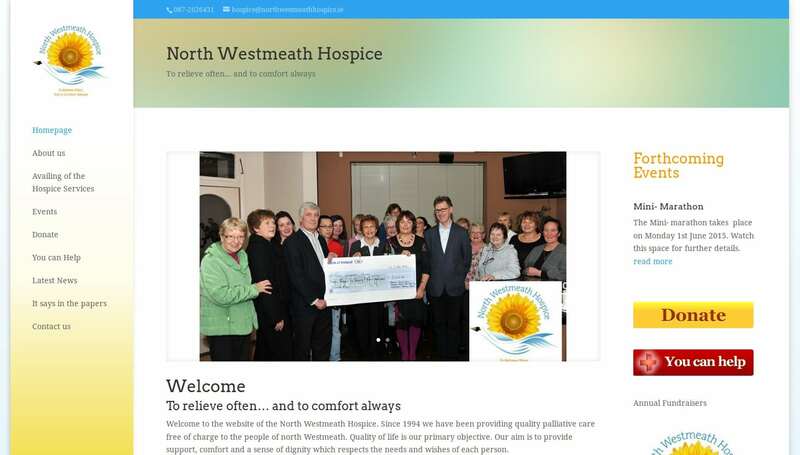 North Westmeath Hospice provides a very Professional Palliative Care Service. As an organisation it is actively involved in many fundraising projects.